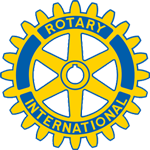 The Rotary Club of Kirkland Downtown is a vibrant and active service organization and functions as part of the great Rotary International Organization (with a membership of approximately 2 Million worldwide). The Rotary Club of Kirkland Downtown (RCKD) is seeking men and women who want to make a difference in Kirkland and around the world through philanthropic projects that promote sustainable improvement in the lives of people. The Rotary is comprised of business and community leaders who want to give back and help others. The Rotary Motto is "Service Above self." We seek balance in all areas - the RCKD funds projects in cooperation with other clubs via grants and we are also hands on - participating in projects locally and globally with people from our club. This year we are sending members to the tiny island of Antigua to assist the Bellevue Breakfast Rotary Club with their Computers for the World Program and helping teaching sewing classes (providing funds for machine) in order to help women learn a trade and become self sustaining. Locally we are involved with KTUB Teen Dinners, supporting Attain Housing with holiday meals and gifts and Juanita High School student of the month awards and scholarships. We believe strongly in Changing the World, Starting in Kirkland. If this speaks to your heart - come and see what we're all about at a regular weekly meeting - Tuesday mornings at 7:30 am at the Caf at Northwest University. You can visit us on Facebook.